Few people realize it takes massive creativity to be persuasive these days. And persuasion is a tool to be used for good or not. Dentists have been trying for decades to persuade their patients to floss their teeth. The whole “build it and they will come” only happens in a Kevin Costner flick. Traditionally to win people over, the common wisdom has been to tie the speaker’s goals to the interests of the audience. Appealing to motives of your audience is necessary, but not sufficient to create a response in itself. People make decisions for both rational and emotional reasons. In our wealthy (compared to the rest of the world) society, creativity is even more important than ever. There are simply too many options and people have become hyper aware of being taken advantage of or deceived. Now you have to catch people off guard just to get their full attention — even when it benefits them! A thought leader is, by definition, creatively persuasive. Another creative military success: the case of Colonel Dan Morgan in the American Revolutionary War, who faked out the Redcoats to win a battle in South Carolina. The trap worked because the Brits were not expecting sharpshooters. What Morgan did was to hide skilled marksmen in between layers of unskilled shooters (aka farmers). In the 1781 Battle of Cowpens, using this unexpected faking strategy, enabled the untrained Americans to kill or capture 900 Redcoats. Dunkirk worked because it was completely unexpected. 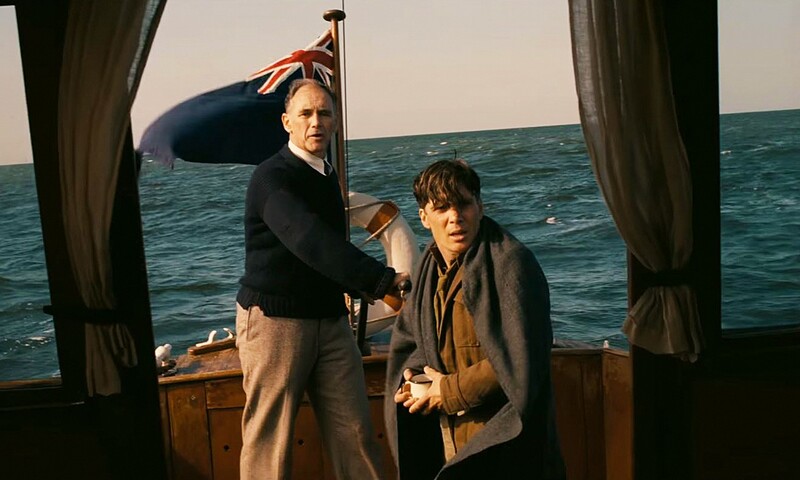 The Dunkirk evacuation began May 27, 1940. Over the next eight days a total of 338,226 English soldiers were successfully brought back across the English Channel while under attack on all sides. Additionally, a total of 140,000 French, Polish and Belgian troops were rescued. The Germans weren’t able to quash many of the smaller boats because they weren’t prepared to fight that type of resistance. The success of this creative rescue mission is a major factor in shoring up the confidence of average British citizens and inspired them to dig in and fight back despite the “impossible” circumstances. What makes creative persuasion work is the UNEXPECTED. Winston Churchill was always saying things that surprised people. Even his final decision to fight Germany was unexpected. Science backs this up. Research from Emory and the Baylor University College of Medicine may have discovered why some people actually crave the unexpected. The human brain finds unexpected pleasures MORE rewarding than expected ones. This is exactly the way humor works. You are led down one path of thinking by the comedian and then suddenly he changes direction in a totally unexpected (and funny) way. Example: Comedian Michael Jr. is greeted by a young white fan and asks the boy his name. “No, you’re not,” replies Michael Jr.
Like when Apple started packaging their computers like fine jewelry. Like when a business sends a cute, adorable card in the mail for no reason. Even using an unexpected emoji like these can catch audience attention. A creative metaphor (he sulked like a civil servant passed over for promotion, –-Dostoyevsky), analogy (In a sense we’ve come to our nation’s capital to cash a check… , M. L. King, Jr.), or comparison (The pessimist sees difficulty in every opportunity. The optimist sees the opportunity in every difficulty. Winston Churchill) makes the message clear….and delightfully persuasive. In a presentation, elements of surprise can include: product demonstrations, unexpected media, audience activities. Sometimes speakers surprise their audience with a gift, either to random audience members or taped to the bottom of their seats. …an unanticipated benefit, unusual delivery time, a surprisingly personal story, humor or sheer personality. Do this by starting your audience down this path, and then you switch it on them! Action Item: Notice how surprise delights you in the movies you watch, conversations you enjoy, and customer experiences.